Nippers is a watercolour design by Rebecca Hogg. 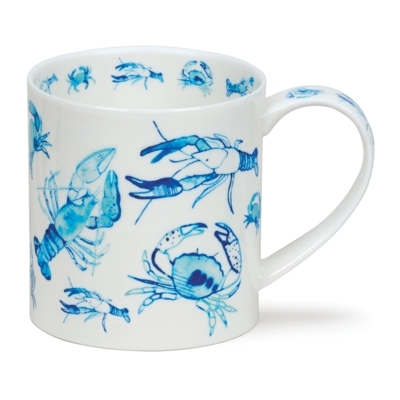 Vivid turquise and aquamarine on a white background give these mugs a stylish, contemporary feel. Rebecca Hogg refers to a broad visual vocabulary within her design work. Inspiration and influences embrace both the natural world; flora and wildlife, and architecture. She brings to her creative work a distinct sense of abstraction, originality and colour, re-interpretered through her interests in classical and contemporary textiles and interior design. Rebecca's natural and intuitive hand drawing and painting style leaving the viewer with a sense of surprise and humour.